You want to get your site up and running in time for Christmas, but time is quickly running out. Thankfully, you don’t have to spend months in development to build a stunning website. You just need the assistance of a quality drag-and-drop website builder. Whether you’re looking to create an online store, a family Christmas photo archive, or a customized online wish list, you can get the job done in minutes as long as you choose the right website builder. Wix is one of the simplest drag-and-drop website builders on the market, but it’s not just well-known for its ease of use. It’s also extremely affordable. If you’re looking to build a quality website without spending a lot of money, you can get started for free. Just sign up, choose a plan, and start editing your site. Even if you upgrade to a premium plan for just $5 a month, you can connect your own domain and enjoy up to 500MB of storage. When you’re ready to bring your vision to life, just select a template and start customizing your site. You can add images, text, videos, forms, and other elements at the touch of a button. 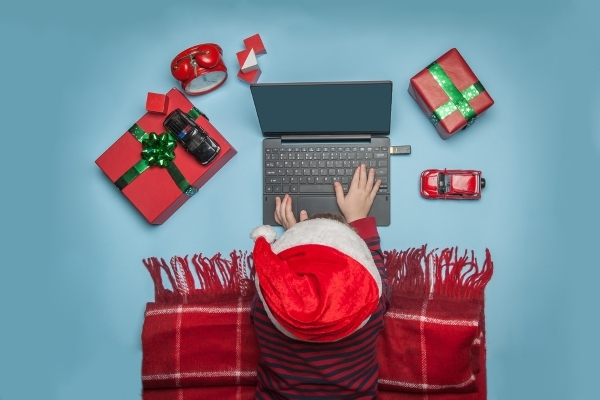 If you need to create an online store in time for the Christmas season, Wix even offers shopping cart functions. If you select the e-commerce plan, you’ll receive $300 in free ad credits, so you can promote your products through paid advertising – all without spending a dime. Web.com is another option that combines simplicity with versatility. Web.com (read full review) costs a bit more than Wix (plans start at $22.95 with no free tier), but it also offers more power for those who need to build larger sites. Web.com gives you unlimited storage even with the basic plan. So if you need to store a massive archive of original Christmas music or open a large holiday apparel store, Web.com is an excellent way to go. Web.com is also great for those with limited web-building experience, as the setup wizard guides you through the entire process step by step. You don’t have to toy with the various buttons and features because you’ll be introduced to them individually as you build your site. Best of all, these features are available for as little as $2.75 per month. You won’t be able to sell a lot of products at this price, but it’s great if you just need a simple storefront for your custom Christmas ornament or holiday crafts. The intuitive drag-and-drop site builder also makes the process very simple. Weebly is another great option for those seeking something simple and affordable. Without even spending a dollar, you can post your annual Christmas letter to your family or create a living advent calendar of inspiring holiday messages. If you’re willing to invest a few bucks, you can add your personal domain to your site and enjoy unlimited storage. If you have a moderate selection of products you need to sell, Strikingly is a great choice. It allows you to list up to 100 products for only $16 per month. If you have five products or fewer, you can get started for only $8 per month. You can easily password-protect your site, ensuring that only those on the holiday invite list have access to your updates and information. You can edit your HTML and CSS. If you know the fundamentals of coding and like to assume full control, you’ll surely appreciate the freedom and flexibility. You can sell one item even on the free tier. This is great if you just need a basic storefront for your award-winning Christmas cookies. 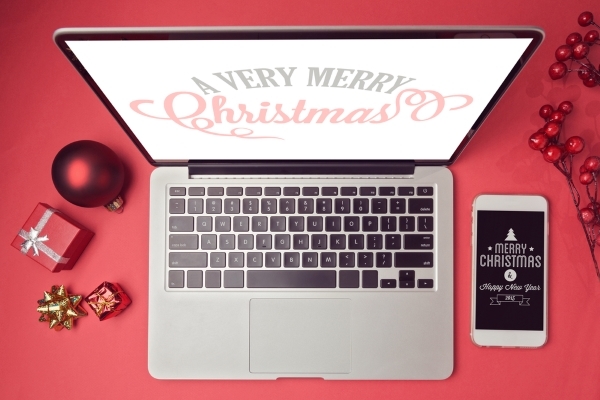 Get a jump on your website before the holiday passes you by. Check out our complete list of the top website builders.